Join the pool to get to know your neighbors and to support the club. An active and well maintained pool helps property values and helps to foster a great sense of friendliness and belonging. Support the pool and promote your business at the same time with a banner or website ad. 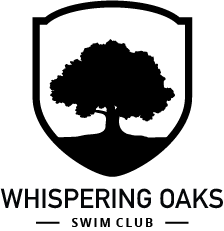 The Whispering Oaks Swim & Recreation club is a member-owned, non-profit association offering swimming, tennis, recreational and social activities for the benefit of our residents of the Whispering Oaks subdivision and our non-resident members and guests. Throughout the year we will host free swim days and neighborhood parties and potlucks. Keep an eye out for those dates where you can come check out the pool and invite friends and neighbors to experience our pool and community! Check Swim team calendar for detailed times after hours is unavailable. This applies to our After Hour Program Members who have purchased a key fob. We’ve done our best to provide the dates/times in which the pool will have adjusted hours due to the swim team activities. The dates/times are adjusted after hours and only the swim team would be allowed in the pool.